Chatham Orthopaedic Associates’ Robert Hoffman, M.D. 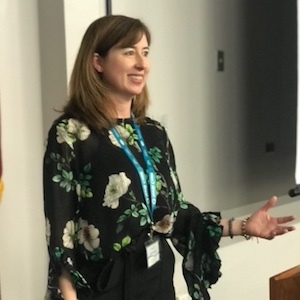 and Alison Walmsley, OTR/L, CHT, CLCP had the honor of speaking at the third annual Georgia Hand & Upper Extremity Special Interest Group Conference held in Savannah in late April. The GHUESIG conference is a regional conference that hosts more than 300 physical and occupational therapists interested in the treatment of the hand, wrist, elbow, and shoulder. 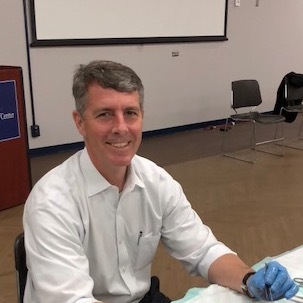 Dr. Robert Hoffman and Alison Walmsley were invited to speak at the conference for their extensive knowledge on the treatment of the upper extremity. Dr. Hoffman is a physician here at Chatham Orthopaedics who specializes in the treatment of the shoulder and knee. Alison Walmsley is part of our Occupational Therapy team and has specialty certifications in hand therapy. All of us at Chatham Orthopaedics would like to congratulate Dr. Hoffman and Alison Walmsley on their presentations at the GHUESIG. It is an honor to speak at these conferences, and we are proud to have such dedicated individuals as a part of our team.